Have You Noticed A Smell Of Oil At Your House? 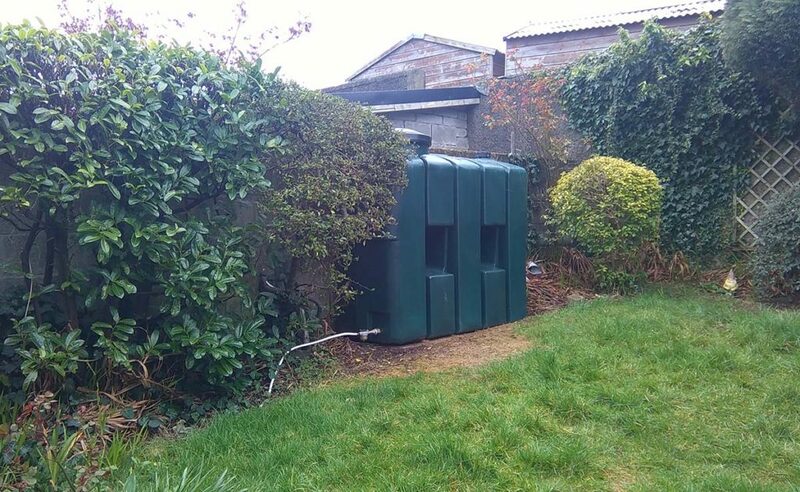 It was reported to AVADA Environmental that an oil leak occurred at this client’s property after a split occurred below the half way point on their oil tank. It’s worth noting that the split wasn’t caused through wear and tear, as the oil tank had only been installed a year beforehand. Our Oil Spill Response Team estimated that the volume of oil lost was approximately 525 litres. 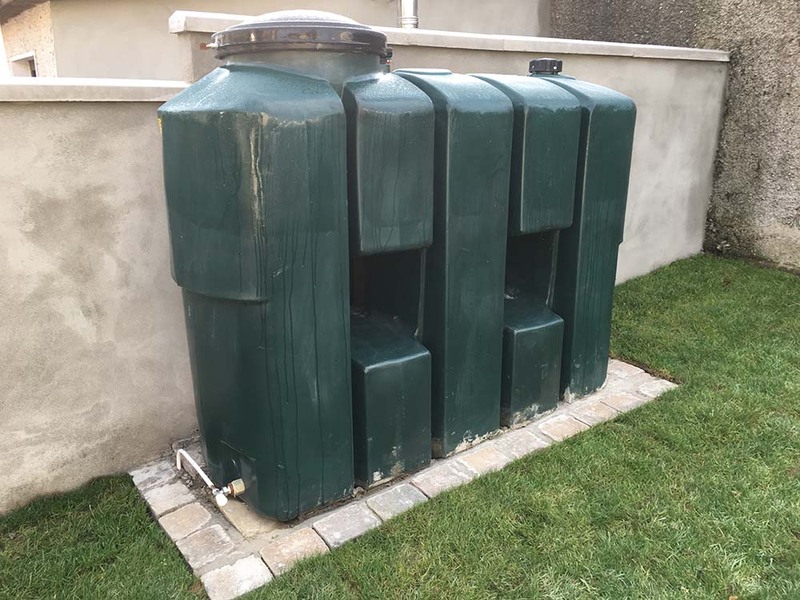 The oil tank and boiler were relocated for the duration of the works and a temporary heating system installed. This work was conducted by a suitably qualified OFTEC registered heating engineer. A section of the concrete boundary wall running from the rear of the kitchen extension to the oil tank and a separate brick wall in the rear yard were removed and disposed of. A section of the rear lawn extending from the brick wall to the oil tank was excavated to an appropriate depth. Two groundwater recovery wells were installed. These wells were necessary to remediate the hydrocarbon contamination located within the fill material at the rear of the property. 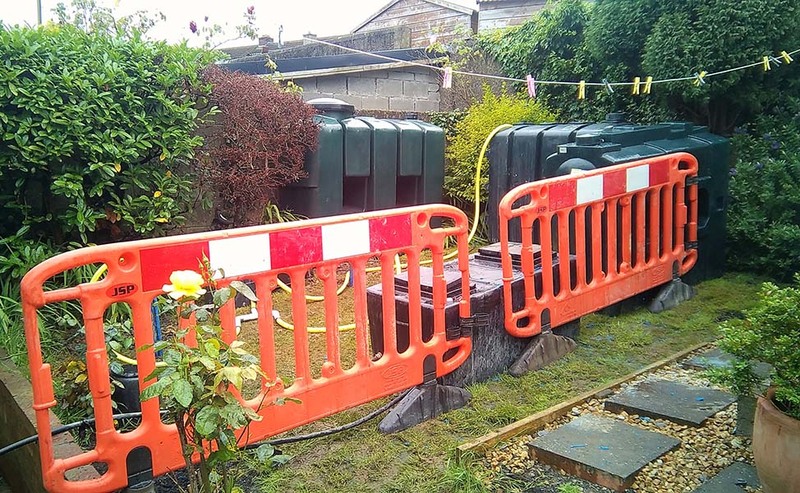 One additional groundwater recovery well was installed within the rear lawn to limit the migration of any contamination that could have flowed down towards the centre of the garden from the spill source. Inoculation lances were installed to facilitate the injection of oil degrading solutions directly into the substrate. The impacted area was subjected to intensive treatments for the soil, exterior and interior of pipes, impacted foundations and rising walls. A treatment system was installed to cover the entire area of impact and treatment residues captured within the recovery sumps and filtered. The treatment involved the direct injection of oil degrading solutions directly into the substrate. The system allowed for timed and controlled injections of treatment solutions within the area of damage. The site validation survey confirmed that the remedial works programme had fully remediated the original area of contamination meaning that there was no longer any further risks to the client’s or any third party properties after our team offered a quality oil clean-up response service. Have You Got An Oil Spill At Your Property? AVADA Environmental, is a highly respected oil clean-up company and can provide emergency services throughout Northern Ireland and the Republic of Ireland. You contact us directly by calling 028 3010 0121 or by completing an online enquiry form.